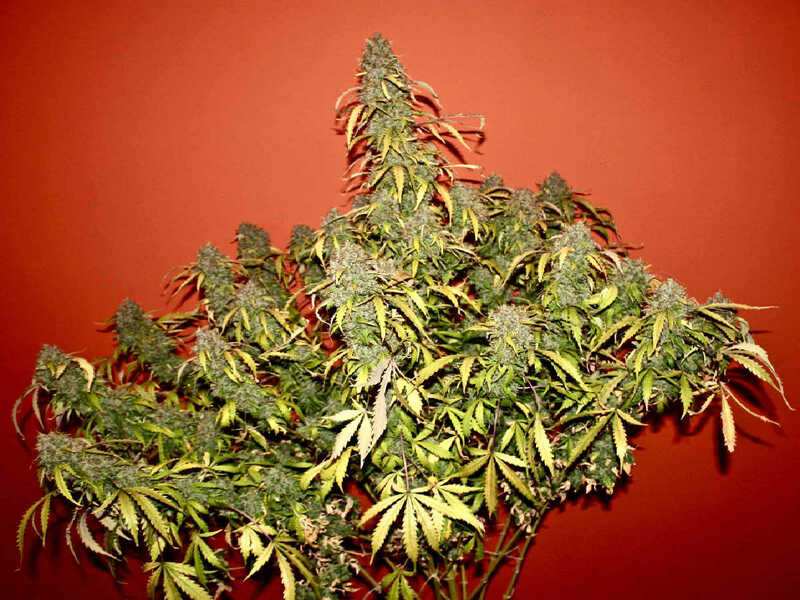 The best autoflowering marijuana strains give you big, potent yields. In a previous article, we gave you the top 12 autoflowering marijuana strains. In this article and follow-up articles, we’re giving you tips on understanding and growing autoflowering marijuana. The first thing to know is that autoflowering marijuana was created by breeders who inserted Ruderalis cannabis genetics into existing marijuana strains that had Kush, Sativa, Afghanica, and Indica genetics. It has some characteristics of the regular (photoperiod) marijuana you grow, but doesn’t produce much if any THC and it’s nothing you’d want to grow if you want to get high. The most useful genetic trait Ruderalis has is it flowers automatically regardless of how much light it’s getting. Breeders added Ruderalis genetics to regular marijuana to create autoflowering marijuana that automatically goes into flowering after 20-28 days in vegetative phase. You don’t need to trigger flowering by altering the light cycle to 12-hours on and 12-hours off as is done with photoperiod cannabis. Many autoflowering strains go from seed to harvest in eleven weeks or less. Most photoperiod marijuana strains take at least 14 weeks to go from seed to harvest. The advantage of shorter versus longer is that with autoflowering marijuana you have more harvests per year, and there are lower costs for each crop cycle. Most autoflowering strains are feminized, and flower automatically when they’re 2-3 weeks old. 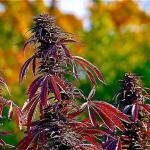 This makes them much easier for guerilla outdoor growing compared to photoperiod strains. Because there are no male plants, the grower doesn’t have to go to the grow site to detect and remove males in an effort to prevent pollination of female flowers. The outdoor grower doesn’t have to wait for flowering to start when daylengths decrease naturally, because the autoflowering plants flower on their own, sometimes months before photoperiod marijuana plants would finish outdoors. This helps growers avoid late-season problems such as molds, thieves, and cold temperatures. Another outdoor growing advantage of autoflowering marijuana is it generally can handle harsher conditions than photoperiod cannabis, except that autoflowering doesn’t like cold. Because autoflowering marijuana finishes earlier than photoperiod marijuana germinated at the same time, commercial producers growing outdoor autoflowering cannabis will have dried and cured buds earlier than the usual autumn glut of harvested outdoor cannabis, which gives them a market advantage. Autoflowering marijuana is easier to grow and requires less space to grow in. This makes it ideal for novice growers and for growers who have limited space, especially vertical space, for a marijuana garden. Most autoflowering strains will get no higher 1-3 feet tall. 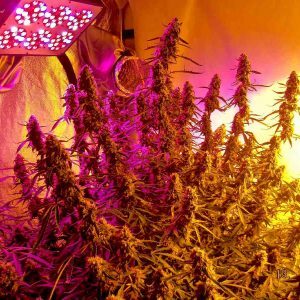 The low height of most autoflowering strains allows growers to use energy efficient lighting such as LEDs. It also means growers have less time and expense for trimming, and for providing structural support (such as staking and netting). Indoor growers of photoperiod marijuana have to strictly control the daily light cycle during bloom phase to ensure it’s 12 hours of light, and 12 hours of uninterrupted darkness. Autoflowering marijuana doesn’t require lighting control to force bloom phase to start. Note that 70% of the autoflowering strains on the market are inferior. Look at our previous article and you’ll see reliable autoflowering strains and breeders. The best strains are feminized, so breeding is difficult. Growing autoflowering marijuana requires different techniques, materials, and cultivation practices compared to growing photoperiod marijuana, so keep coming back to BigBudsMag.com so you get the heaviest, most potent harvests from autoflowering cannabis.